Easter in 2018 is on the last weekend on March / first weekend of April, with Easter Sunday itself falling on 1 April. It’s April Fools Day coincidentally too, so don’t be a fool and leave your Whitsunday Easter holiday booking too late! The Whitsundays is just about perfect at Easter time. The weather is still so warm and lovely, and the water temperature is usually between 25 – 28 degrees. With school holidays spread out this year, and the Commonwealth Games happening in the first two weeks of April, we don’t expect to be as busy as usual, which is great news for bareboat holiday makers! We’ve got lots of boats available for the Queensland and Victoria school holidays at the start of April, and lots of boats available for the NSW school holidays in the second half of April too. We’ve got some great boats available, from both the budget end of the range, and the luxury end of the range. We’re sure we’ll have something to suit your family. We have small boats for small families and big boats for big families, or two families. We have boats that can sleep up to 12 people. Or sail 10 nights and only pay for 8 nights! If you’re not sure what kind of boat would suit your family, please feel free to give us a ring to discuss your Easter holiday requirements. There’s so much to do! We provide snorkelling gear free of charge, and you can hire kayaks or fishing gear if you’re interested as well. There are bushwalks, and miles and miles of beaches to explore, even a few resorts you can stop in and visit. You can do as much or as little as you like really, it’s entirely up to you! We think it’s the best family holiday and we can’t wait to show you. 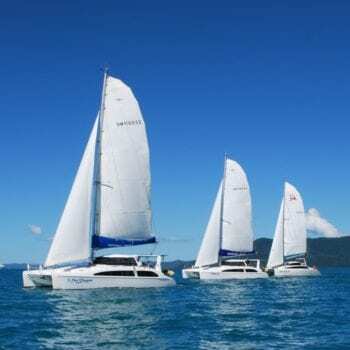 Book now for your Easter family holiday in the Whitsundays.